I’ll save you from reading the frustrating troubleshooting details. 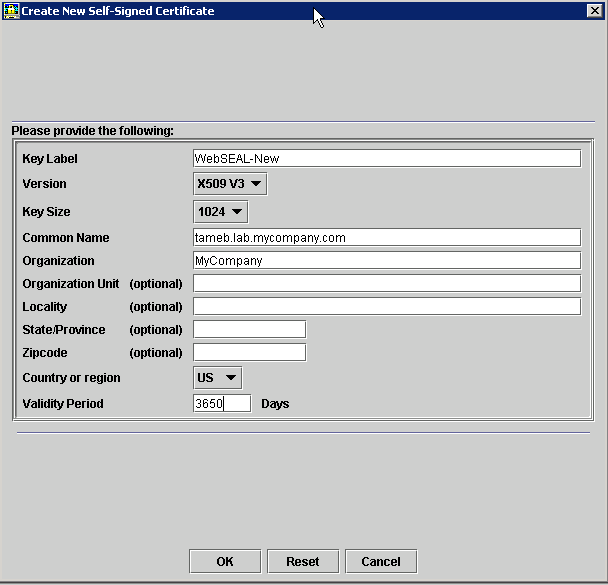 The bottom line is simple – the self-signed SSL certificate supplied with IBM WebSEAL expired on August 27, 2011. This is the certificate that is used by default in many labs, including mine. The fix is really simple – if you know where to look and what to do. Open the configuration file of your WebSEAL instance (“webseald-default.conf” in my case) and go to “[ssl]” stanza to check where the certificate keys file is located and what is the name of the certificate being used. 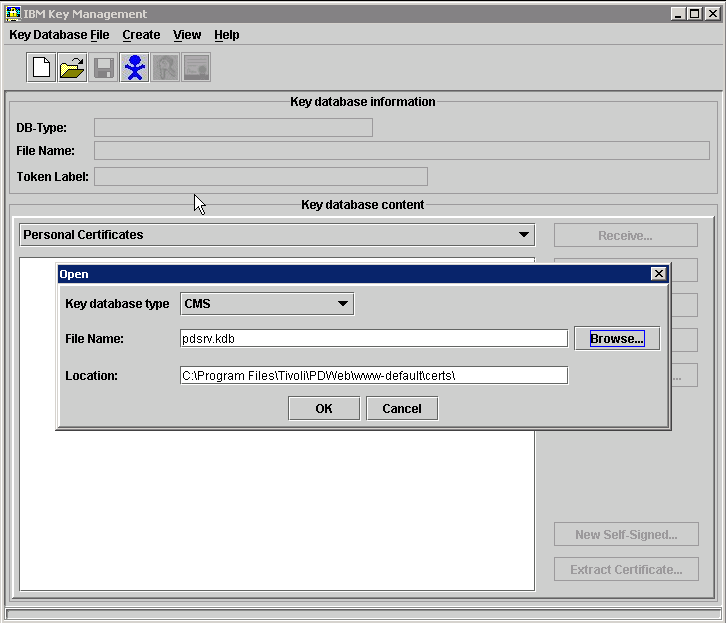 Now you can use IBM Key Management utility to open this Key Database (this is what “kdb” stands for) file. You can run the utility via “ikeyman.bat” found in IBM HTTP Server directory. Luckily I had one on the same server; you can copy the “pdsrv.kdb” file to the server IBM HTTP Server is installed on. Choose file type “CMS” while opening the file. 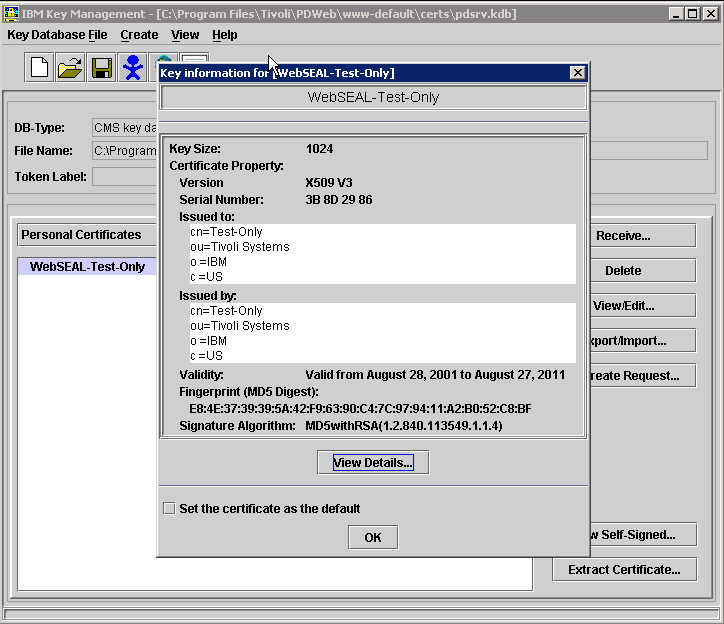 Here you can verify the that the file really contains the certificate used by WebSEAL. Click on “View/Edit…” – and the WebSEAL will confirm you that the certificate is expired even before showing the details. Note that the default for validity period is 365 days, which means that you will suffer from the similar problems again a year from now. I suggest to add a zero, effectively setting it to 10 years (which should be enough for this WebSEAL instance to die). Save the file, restart the WebSEAL – and you are done! P.S. After the issue was found and solved, I got a response from IBM. Looks like really a lot of people suffered from the issue, so they filed a dedicated alert on their support site. This entry was posted on September 8, 2011 at 10:47	and is filed under Troubleshooting. Tagged: IBM, SSL, WebSEAL. You can follow any responses to this entry through the RSS 2.0 feed. You can leave a response, or trackback from your own site.